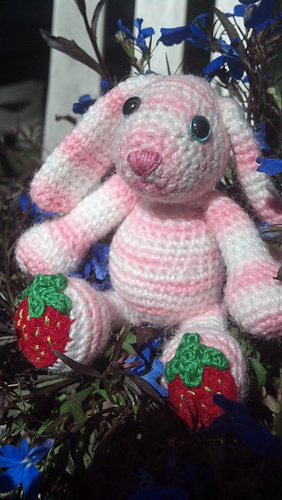 The Little Strawberry Bunny measures approx. 6 inches sitting down and 9 inches laying flat. The red part of the strawberry is crocheted as part of the leg, and the leaves are attached using a yarn needle.